One of TVs most recognisable faces, Richie released his album A Country Soul in 2017. 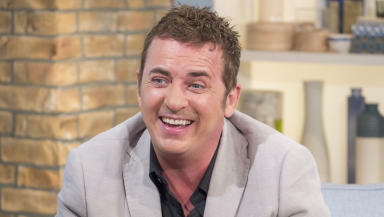 Eastenders actor Shane Richie has been announced in the line-up for Millport's Country Music Festival in September. One of TVs most recognisable faces, Richie released his album A Country Soul at the end of 2017. He will take to the Nashfield concert stage as part of the festival's families day on Sunday, September 9. Celebrating its 24th year, the event is returning to the seaside town on the Isle of Cumbrae. More than 50 Scottish artists will join performers from the rest of the UK, Ireland, Sweden and the US across four live stages within the grounds of Garrison House. The four day festival will also include country music stars Jesse Dayton, Ashley Campbell and The Wandering Hearts.